I’d like to share some of what I am hearing from the physician community about MOC and our shared path forward. 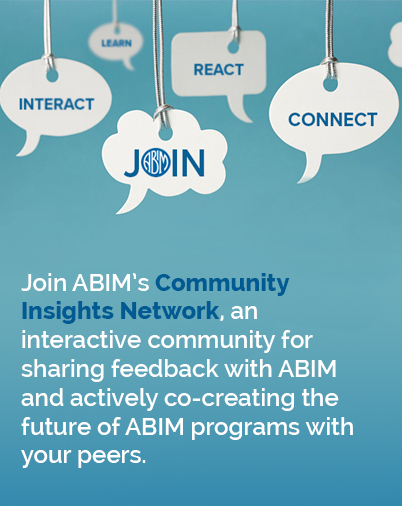 These are but a few highlights that caught my eye from the emails and phone calls ABIM has received – and is listening to – as we work to improve our programs and make them more meaningful. I’m grateful to all of you who have provided feedback so far. Please continue to share your thoughts with me at rbaronmd@abim.org. I will provide regular updates on this blog regarding what we’re hearing as we engage the community in these conversations.